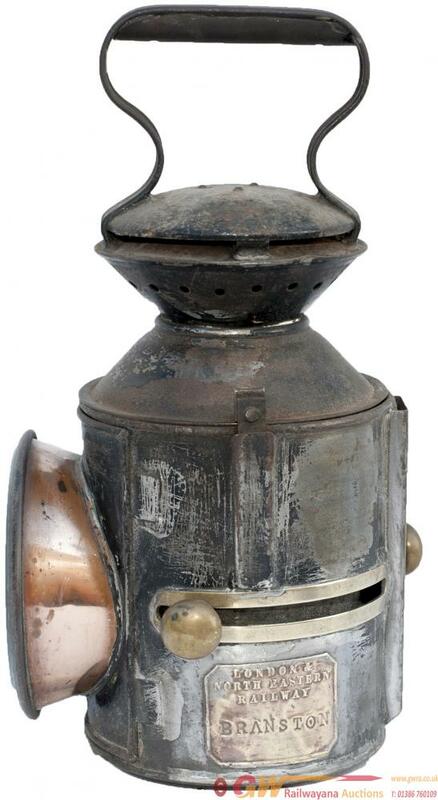 LNER GER 3 aspect sliding knob handlamp stamped in the reducing cone LNER and date coded for 1925. Brass plated LONDON & NORTH EASTERN RAILWAY BRANSTON. Complete with reservoir, burner, reflector and all glasses.